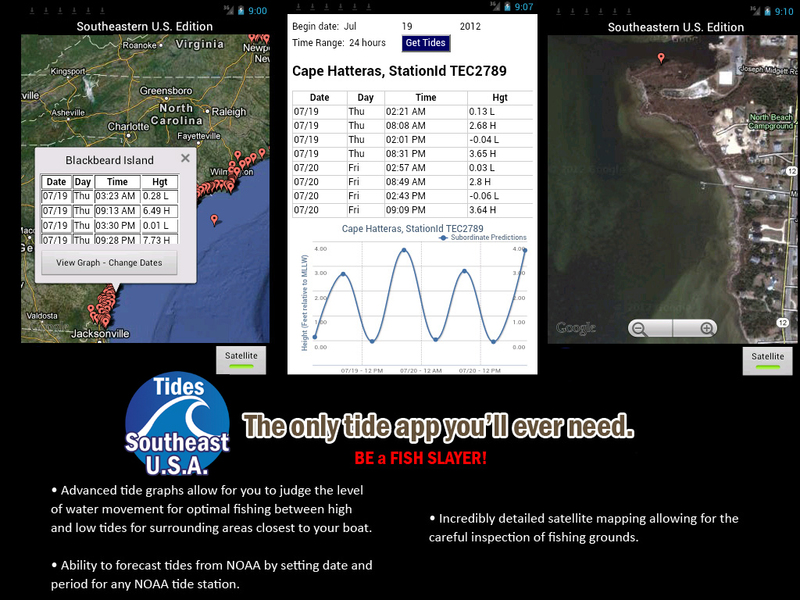 Our mobile software expertly handles and displays the most recent Georgia tide tables, South Carolina tide tables, North Carolina tide tables and Virginia tide tables by searching NOAA in real time for the tide stations closest to you. Tide tables play a major role in almost every aspect of fishing in the South. Having accurate information for Georgia tides, South Carolina tides, North Carolina tides and Virginia tides helps guarantee choosing the best time to go fishing due to fish being the most active during tidal movement (incoming and outgoing tides). Here is a list of the Tide Stations, we handle all 413 of the Georgia tide stations, South Carolina tide stations, North Carolina tides stations and Virginia tide stations.